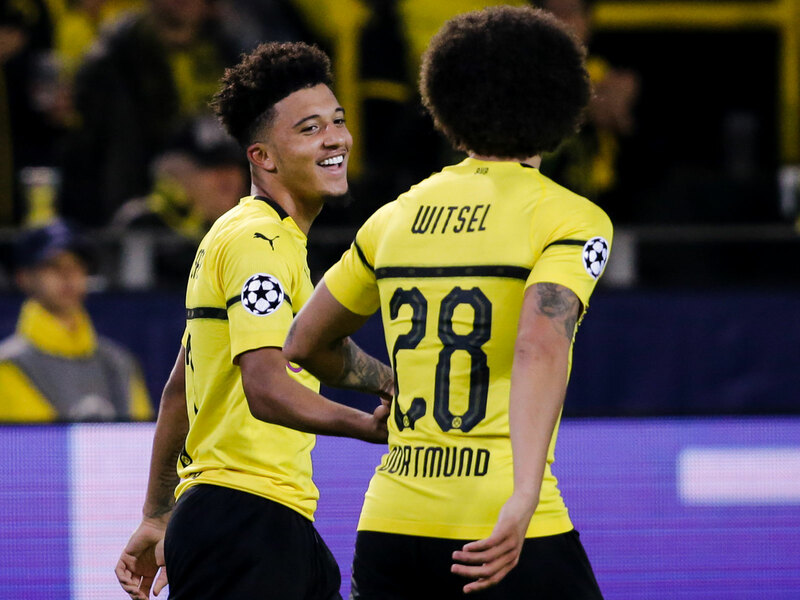 Instead of wasting away on a bench in the Premier League, where playing time for young talent is hard to come by, Jadon Sancho sought opportunity in Germany, and his success at Dortmund is a shining example for his peers. Jadon Sancho has registered six assists in the Bundesliga so far this season, twice as many as any other player. That’s despite starting just one game and playing a total of only 215 minutes. Of course, it helps that he is playing for a free-scoring Borussia Dortmund, and that he has tended to be deployed against defenders wearied by dealing with the press of Lucien Favre’s side, but these are still remarkable figures for an 18-year-old. Yet Sancho has a significance that reaches far beyond his stats for Dortmund this season, far beyond the fact that he was named player of the tournament as England won the Under-17 World Cup last year and far beyond the fact that he has just earned a call-up to the senior England squad for the Nations League games against Croatia and Spain and could become the first player born in the 2000s to play for England. He is important, because he has done all this despite never having played a senior game in England. That has happened before, but only twice, and both times in very unusual circumstances. The more recent of the two was Owen Hargreaves, who won his first cap in 2001. He had been born in Calgary to an English father and a Welsh mother, and had moved at the age of 16 to Bayern Munich. Under FIFA's regulations, he clearly qualified as English, but he was in no sense a product of the English system. He played Under-19 football for Wales. Joe Baker’s case was even stranger. His father was a sailor from Liverpool, his mother a Scot. His elder brother was born in New York, but he was born in Liverpool after his father had returned home at the outbreak of World War II. Soon after, though, the family moved to Motherwell, just outside Glasgow. Baker signed for Hibernian as a 17-year-old, and made a major impact almost immediately, scoring all four goals in a 4-3 victory over the club’s Edinburgh rivals Heart of Midlothian in the Scottish Cup quarterfinal. Two years later, in 1959, he made his England debut, qualifying through his father and place of birth. But he, too, was not a product of the English system. He was born in London to parents from Trinidad and Tobago in March 2000. He joined Watford at 7 and moved to Manchester City in March 2015. Two years later, Man City chairman Kaldoon al-Mubarak included Sancho alongside Brahim Diaz and Phil Foden as one of three youth players who would be fast-tracked into the first team. But Sancho’s mind had been made up. He had seen too many promising young players stagnate through their late teens, trapped in the golden bubble of potential. He didn’t want to be another of those kids who hang around elite clubs, collecting lavish salaries but never actually getting on the pitch. At 12, he had set himself the target of getting his family out of the Guinness Trust Buildings, the estate just north-east of Kennington Tube station where he had grown up. His salary at City was more than enough to achieve that, and so his goal shifted. His first exposure to the English media en masse this week suggested an admirably single-minded player with a blunt turn of phrase and little time for the familiar cliches. His decision to leave City for Dortmund is being emphatically vindicated. Sancho has already played some part of 19 league games, far more than the two players he was bracketed with at City. Foden has been involved in only eight, and Diaz five, none of them starts. For a long time, this has been the curse of the English (or England-based) prodigy. By the time Daniel Sturridge turned 20, he had started only five league games. By the time Ruben Loftus-Cheek turned 20, he had started only four. City’s academy has not yielded a first-team regular in 2005; Chelsea's not since John Terry in 1998. Sancho can hardly be blamed if he looked at the bench at the Etihad and saw it as the graveyard of young dreams (even if Pep Guardiola is more likely than most to change that). For years, it was a familiar lament of English pundits that English players didn’t go abroad. They didn’t challenge themselves, didn’t learn a new culture or a new way of playing. Sancho admits he misses his friends and his family and that his German is basic at best, but he is still relishing the challenge. Sancho, whose success recently resulted in a new long-term contract at Dortmund until 2022, is part of a wider trend. Some have gone on loan: Everton’s Ademola Lookman scored five goals at RB Leipzig, West Ham’s Reese Oxford started five games for Borussia Monchengladbach and Liverpool’s Ryan Kent made five appearances for Freiburg last season. Some haven’t quite worked out, yet. Mandela Egbo left Crystal Palace for Gladbach in 2015, and is yet to break into the first team, while Kaylen Hinds left Arsenal for Wolfsburg only to be released in the summer. 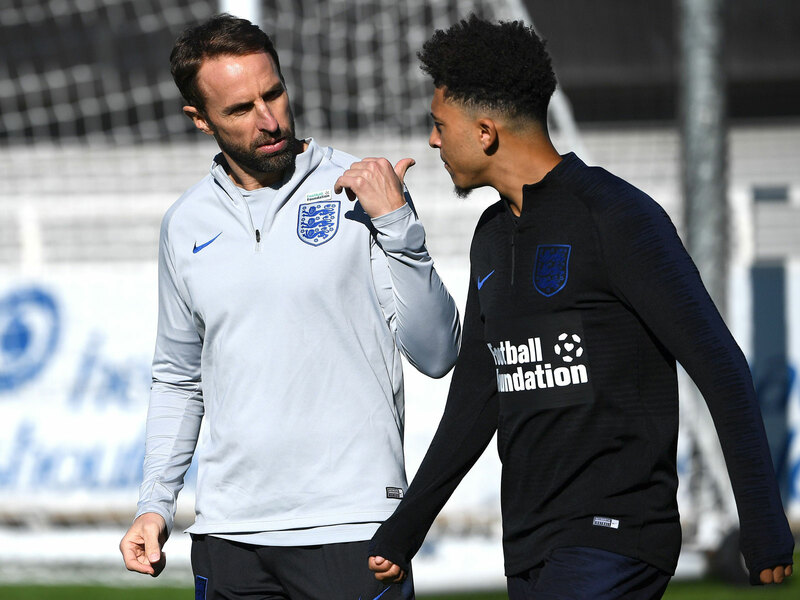 Not every move can be a success, but Sancho is at the forefront of a new generation of English talent that is not prepared to decay on an elite bench but prefers to test itself in new settings such as the Bundesliga. Sancho is an extraordinary talent who may go on to achieve great things. It may be, though, that none is greater than showing other promising English teenagers that there is life outside the Premier League.